Casino slots games have been around for decades. However, in the pre-smartphone era, people had limited options and a smaller variety of these. That’s now how it’s today. When it comes to slots there are slots based on adventure theme, gothic theme, puzzle, action; you name it, they have it. Today, there are hundreds of online casinos where you can play online slots and many offer free spins on slot games. These are the top slots for 2017 that prove why people prefer online slots instead of going to a casino. Millionaires Club III is the latest entry in the popular Millionaires Club series. This 5×3 reel, 20 payline slow game is true to its name- all elite, all premium. Most importantly, it’s progressive jackpot feature offers one of the easiest ways to become a millionaire by playing online slots. 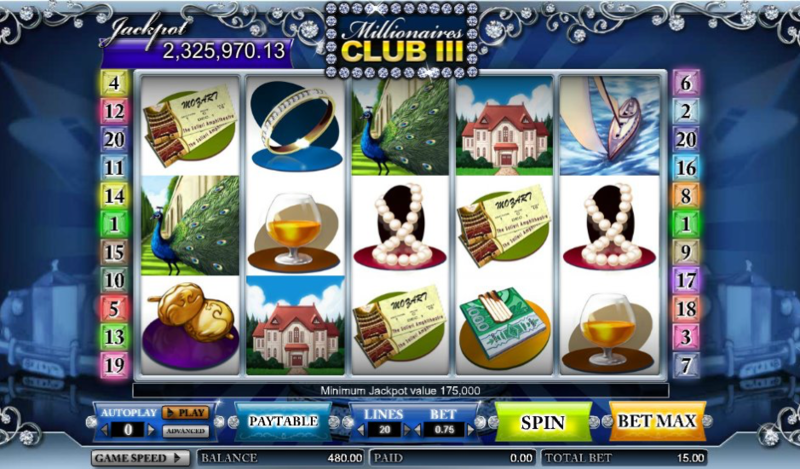 Another cool feature of Millionaires Club III is the Gemstone Game which can be activated by landing 3 scatter symbols on the reels, all at the same time. Once this happens, you can win different kinds of cash prizes depending on your luck until the game strikes thrice. If you are looking for a premium quality game with an actual shot at becoming a millionaire, then this game is for you. 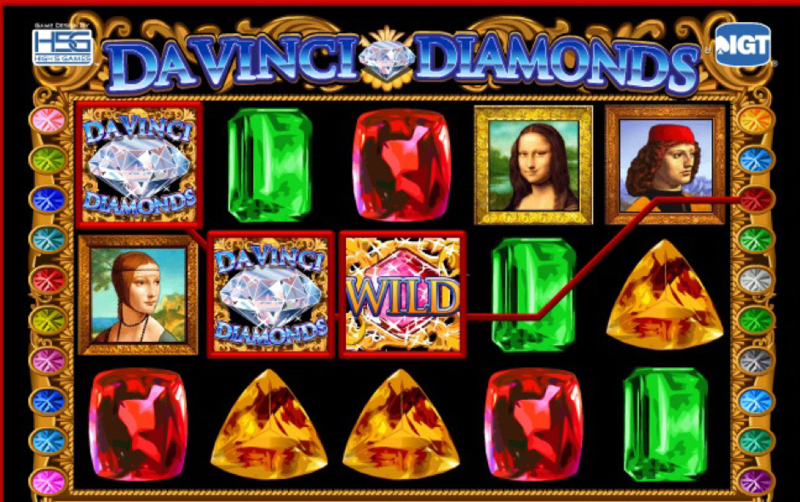 Developed by IGT, Da Vinci’s Diamonds is a vintage classic that you will fall in love with at the first sight. The slot has 5 reels and 20 pay lines and showcases the classic tumbling reels. However, the real charm is the reel items, which are the mesmerizing paintings of one of the most widely known painters of the Renaissance era, i.e. Leonardo Da Vinci, and diamonds! To aptly match the game, the choice of music for the background is also classical, with violin as the dominating instrument for the most part. As for the fun element, you get two features- Free Spins Round, and Tumbling Reels. No list of casino slots is complete without at least one western theme slot game. This is where Dead or Alive comes in. The game is all western- the wooden framed set of reels, the lighting that strikes the ground effect, a dusty background- it’s got it all. And to top it off, it has some really quality western music to get your adrenaline rushing as you test your luck. 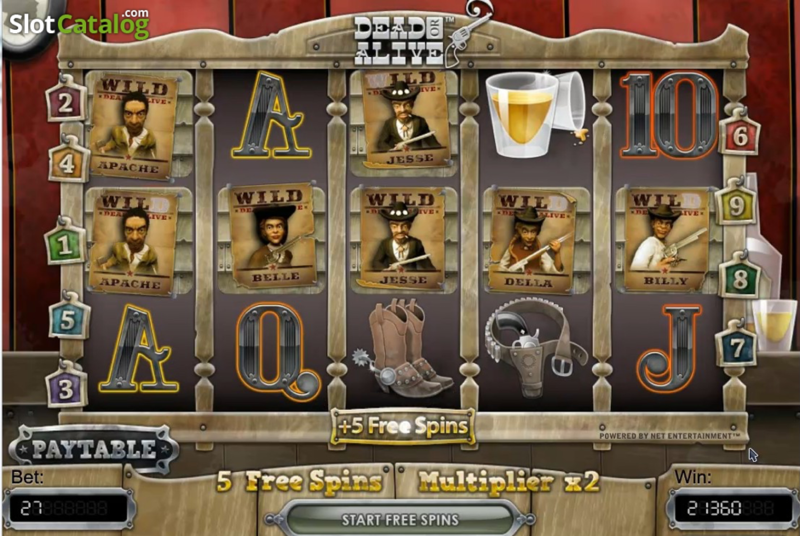 Dead or Alive is a no-nonsense online slot game which is not super fun but also super simple. In fact, if you have the time to play only one casino game today, this one deserves that spot. Most of us know Jurassic Park franchise from its movies that were always a hit among the people of all ages- kids as well as adults. However, it’s a huge brand that has made its way into apparels, collectables, and more. 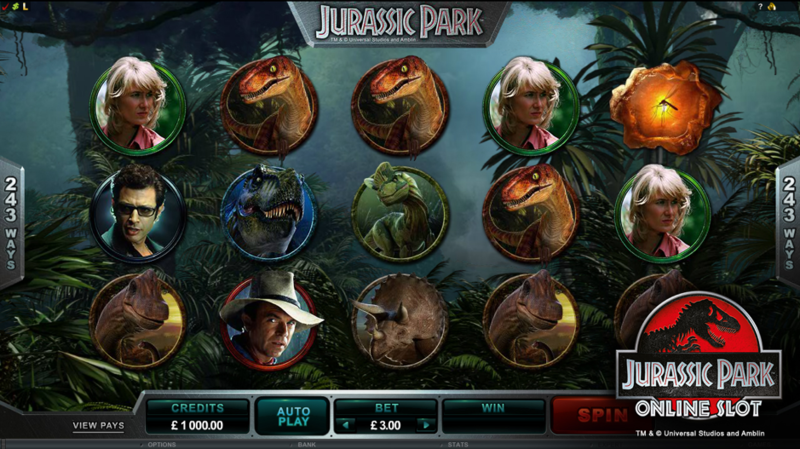 So, it’s no surprise that we have a Jurassic Park themed slot as well, and yes, it’s as good as you think. In the game, you are taken back in time when the world is replete with all kinds of dinosaurs. A striking feature that you are bound to notice is the Parallax Scrolling Effect which makes your slot more vibrant and dynamic. You get 243 ways to win with the 5 reels in the game, and there are jackpots as huge as $1,500. So, what are you waiting for? Have you seen the movie “Aliens” by James Cameron? Are you fascinated by the concept of an extraterrestrial? If your answer to either of these questions is “yes”, then Aliens slot is for you! Aliens is highly inspired by the original movie with the music, graphics, and even the minor details that you will notice every now and then. 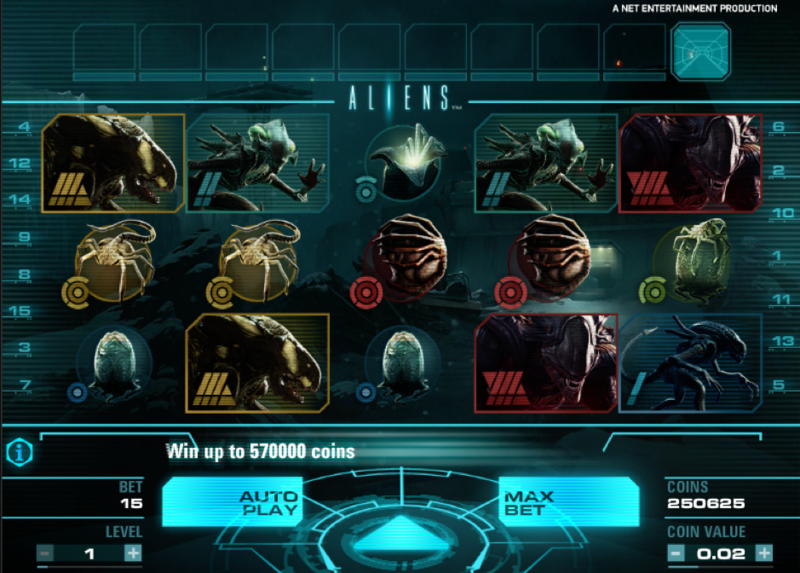 Compared to other slot games, it has an eerie feel, but that makes it special and at the same time gives you the same kind of Goosebumps that you get when watching alien movies. Aliens has 5 reel and 15 payline that are fixed. However, you have 1000 times jackpot winning potential as well as 3 level bonus feature mini-game that works in progressive fashion. Overall, the game is certainly worthy to be included in the top casino games of the year.